Your initial visit to our office will begin with a limited diagnostic examination including necessary radiographic studies. Diagnosis and treatment options will be discussed. We use Digital Radiography which provides an immediate radiograph of the tooth reducing the amount of patient exposure to radiation. The images can be viewed on monitors in your treatment room. 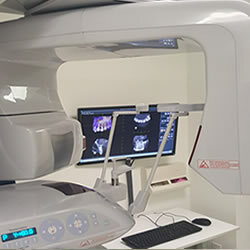 Limited Field Cone-Beam Computed Tomography (CBCT) is available in case an scan is needed. If root canal treatment is indicated an appointment for treatment will be scheduled or in some cases treatment could be completed during the same visit. The endodontic treatment will be completed in one or two visits depending on the condition of the tooth and the complexity of the case. Limited Field Cone Beam Computed Tomography (CBCT): Our practice employs the new high resolution radiographic technology that produces highly detailed three-dimensional digital radiographs of the jaws to image areas of interest with greatly reduced radiation when compared to medium and full field of view CBCT units. 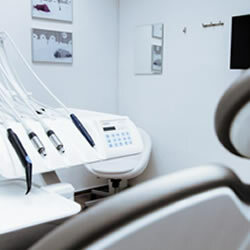 Intraoral Digital Radiography: All radiographs are taken with digital sensors, providing instant viewing on our computer monitors while significantly reducing radiation levels compared to film-based x-rays. This technology also allows for secure electronic transfer of medical information. Operating Microscopes: Specialized operating microscopes are used during all phases of your endodontic treatment. Magnification and Xenon illumination enable us to see small – often missed – details such as calcified canals and fractures. Electronic Medical Record: Your endodontic treatment records and radiographs are kept in our secure computer system for both instant retrieval and remote consultation. Many plans tell their participants that they will be covered “up to 80 percent or up to 100 percent,” but do not clearly specify plan fee schedule allowances, annual maximums or limitations (such as only 2 exams per year allowed, or 1 panoramic X-ray in 5 years). It is more realistic to expect dental insurance to cover 35% to 65% of our services. Nothing is ever covered at 100%. The amount a plan pays is determined by how much the employer has paid for the plan. 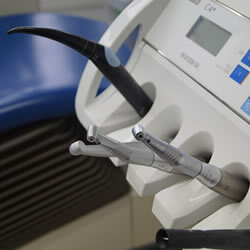 Your treatment plan is individually tailored, and is not based on your dental insurance benefits or lack of benefits. Some employers or insurance plans exclude coverage for necessary treatment as a way to reduce their costs. Therefore, not all endodontic treatment will be covered through your insurance plan. Some endodontic services (such as CBCT imaging for most dental plans) may be excluded. While we want to provide you with the highest possible quality of care, your dental insurance may cover only very basic services. The type of care you receive from our office is based upon our professional judgment and years of experience and not the coverage you receive from a dental benefit plan. We do not believe it is in your best interest to compromise any recommended care in order to accommodate your insurance program. What is a dual coverage? This means that you have coverage from more than one dental plan. We only participate with primary plans. It is your responsibility to inform us which plan is your primary and to check whether we are in-network with that plan. If you fail to do so and your insurance company revokes the benefits paid on you behalf, you will assume the full responsibility for the fee. If we are “in network” with your insurance company, this simply means we have a contractual agreement with that insurance to only charge an agreed fee for the procedures that they cover. The insurance company will then pay the appropriate percentage of that fee. If we are “out of network” with your insurance company, we do not have a contract with that insurance and you are fully responsible for what our office charges. The time for a dental insurance carrier to process an insurance claim varies. Dental insurance carriers usually pay claims within thirty days. What if I still have questions? Many questions that you have may be best answered by calling your insurance company directly. While we will do our best to answer all your insurance question, please keep in mind that there are many insurance plans available and that your employer chooses your plan and your benefits. If you believe your benefits are inadequate, you may want to discuss the matter with your plan administrator and explore appropriate alternatives. Nitrous oxide is a colorless gas with a slightly sweet odor.It's a safe and effective method of administering conscious sedation. Nitrous oxide itself isn't a substitute for a local anesthetic — it's considered an anxiolytic, which means it makes anxiety disappear and you'll stay awake during the procedure. Involves the administration of oral sedative drugs, generally to facilitate a dental procedure and reduce patients fear and anxiety related to the experience. Oral sedation is one of the available methods of conscious sedation dentistry, along with inhalation sedation (nitrous oxide) . Patients with generalized anxiety, prior dental trauma, or generalized fear of the dentist can take oral medication in order to reduce their anxieties. Besides medical sedation treatments, we do our best to create the most calming environment possible at our office. We provide pillows, blankets and video glasses to help you forget about any fears or anxieties you might have, while making the time pass quickly. 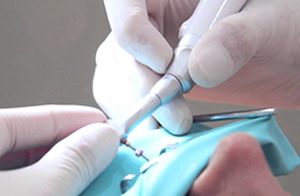 While all endodontists are dentists, less than three percent of dentists are endodontists. Just like a doctor in any other field, endodontists are specialists because they’ve completed an additional two or more years of training beyond dental school. Their additional training focuses on diagnosing tooth pain and performing root canal treatment and other procedures relating to the interior of the tooth. Please continue to take all medications for blood pressure, diabetes, thyroid problems and any other conditions as recommended by your physician unless otherwise instructed. Please eat a meal prior to your appointment, as you will be instructed not to eat for at least 1 hour following treatment. This procedure will be performed using local anesthesia. There are usually no restrictions after the procedure concerning driving or returning to work. 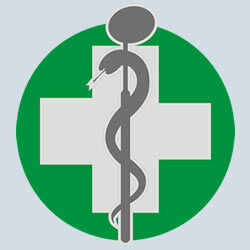 A doctor is available for consultation at all times should a problem arise after your treatment. If you have been advised by your physician or dentist to use antibiotic premedication prior to treatment, please make sure you are on the appropriate antibiotic on the day of your appointment. If there is a question, please call our office prior to your appointment. Some degree of discomfort is normal for a period following root canal therapy. Individual experiences vary depending upon a number of factors as your original diagnosis, pain prior to treatment, manipulation required in treatment and individual reaction to dental therapy. Your tooth to be sore for the first few days after root canal therapy has been completed. 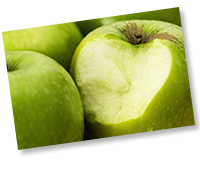 Initially, soft foods are recommended, as they will provide less discomfort during chewing. The soreness may continue for up to one week. Your tooth may feel differently the second and third weeks. By the fourth week, it should feel like your other teeth. Brush and floss gently around root canal site. For discomfort following root canal treatment use during the first two days Ibuprofen 400 mgs (2 tablets of Motrin) every 8 hours or Naproxen (one tablet of Aleve) every 12 hours, do not take the medication if you are allergic to it. It is an anti-inflammatory pain medication that will reduce the inflammation in the area that was treated. A very small percentage of patients (less than 5%) experience post-operative swelling in the area that was treated. If this happens, please call our office immediately to speak with the doctor. As a part of our service, an X-ray will be taken in six to nine months to evaluate your healing progress. There are no additional fees for this visit. If you have any questions or concerns following your treatment, please do not hesitate to call our office. We will call you to confirm your appointment at least 2 days before your scheduled date. Please contact the office to confirm this appointment at least 24 hours in advance. If treatment time has been reserved for you and that appointment is not confirmed, your appointment time may be shortened or cancelled to accommodate emergency patients. Since appointed times are reserved exclusively for each patient, we ask that you please notify our office 24 hours in advance of your scheduled appointment time if you are unable to keep your appointment. Another patient who needs our care could be scheduled if we have sufficient time to notify them. We realize that emergencies occur, but we ask for your assistance in this regard. If you do not call to cancel and fail to show as scheduled, you may be charged a broken appointment fee of $70.00. The initial post-operative office visit is included in your Endodontic fee. Additional follow-up visits may be required and will be charged at our standard rate. The fees for a consultation and/or treatment are due on the day of service. As a courtesy, for those patients who have insurance, we will be happy to file a claim with your carrier. We will accept assignment of your insurance benefits for services rendered after the appropriate co-payment and deductible expensed have been paid. Insurance assignment is accepted for a period not to exceed (60) sixty days. If the insurance company has not paid within that time, the patient is expected to pay the balance in full. Your estimate is due on the day of service and is based upon the verification of insurance benefits. This estimate should not be considered a guaranteed amount. "We welcome the chance to let your insurance help pay the bill, but our services are rendered to the patient, not the insurance company. We ask that you keep in touch with your insurance carrier, as we will, so the claim will be processed as quickly and efficient as possible. In order to take the assignment of benefits we must have current and updated insurance information. Please inform our office of any changes as soon as possible for insurance verification purposes." We accept cash, personal checks, and major credit cards (Visa, MasterCard, Discover, and American Express). Our practice also participates with a financial assistance company known as Care Credit. For your convenience Care Credit applications can be accessed online or once you are in our office an application can be easily filled out.